Home » Blog » Do I Need Winter Pool Cleaning Service? To close the pool or not to close, that is the question. 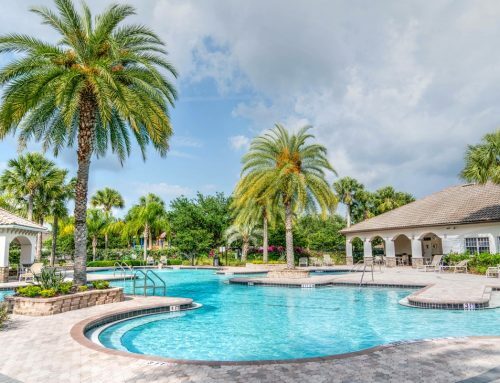 Many Oldsmar residents often close their water features during the winter because they don’t know what winter pool cleaning service entails. Don’t allow your oasis to turn green from being unused or close it for the season. Instead, use these simple tips to keep enjoying your amenity all year long. Basic Cleaning. While this may seem obvious, weekly vacuuming and skimming can go a long way to keep your oasis looking pristine this winter. Algae begins to grow when debris is left in the water for too long. By scheduling weekly pool cleaning service for your Oldsmar home, you’re ensuring your water stays crystal clear all year round. Run the Pump. Chances are your amenity gets less use during the winter. This means the pump isn’t running as much as it was during the summer months. Turning on the pump for a few hours a day will keep the water circulating and prevent harmful bacteria and algae from growing. Here at Triangle Pools, we recommend your pump be run for at least four hours a day during the winter months. Test the Chemistry. An important part of pool cleaning service for Oldsmar residents is testing and maintaining the water chemistry. Running the pump alone isn’t enough to prevent the growth of harmful bacteria and algae! The water chemistry must be properly balanced as well. 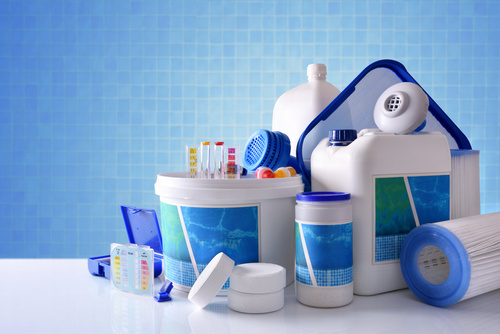 By maintaining the proper balance of chemicals in the water you’re ensuring the water is safe to swim in all year round! Maintain the Heater. While we’re lucky to have mild winters in Tampa Bay, that doesn’t mean it can’t get cold! A water heating system can help keep your oasis at the perfect temperature for swimming, no matter what the weather. Regular pool heater maintenance can help keep your system working efficiently, which can help keep your heating costs down. At Triangle Pool we offer weekly cleanings and water testing for both residential and commercial amenities. We also offer maintenance and repairs on pumps, water heaters and filtrations systems. Our goal is to provide quality service at reasonable prices. If you’re tired of closing your amenity each winter and would like to schedule pool cleaning service for your Oldsmar home call us at (727) 531-0473 or fill out our online form!